Just finished watching this movie in DVD and I am so amazed about this movie. 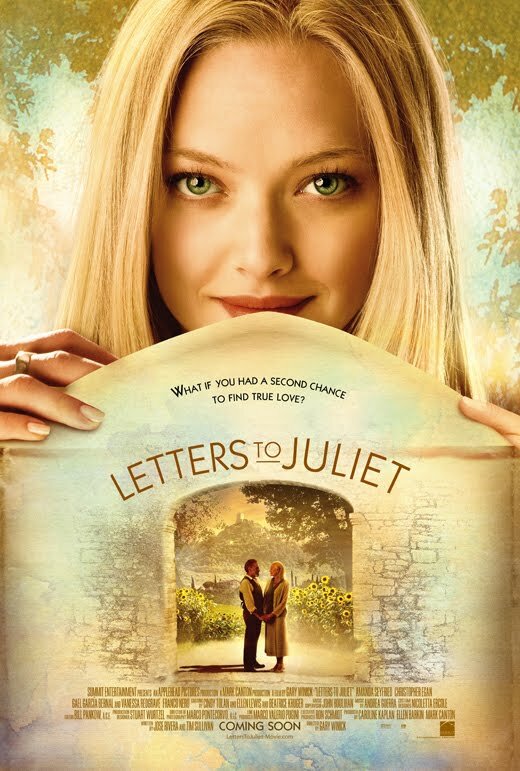 Aside from loving Amanda Seyfried, she really good at her role as Sophie. It’s a very simple yet sophisticated, not the character but the situation she’s in. I was also amazed with Vanessa Redgrave‘s role as Clair, an old widowed woman who is still hopeful to meet her soulmate who lived in Italy after 50 years. Sad to say, Gael Garcia Bernal (Victor) and Christopher Egan (Charlie) fell short of expectations. They both lacked in substance and they are very forgettable. For me, the indicators of a good drama-love story movie is when I find myself in tears and would try to hold it, especially when in movie houses or with my partner. Good thing I watched this alone at home, only having my dog beside me. I was very emotional because it was believable and relatable. I think everyone is hoping, consciously or unconsciously, that they will meet, love, and grow old with their soulmate. The backdrop of the city and countryside of Italy is breathtaking – a perfect canvass for this movie. The journey to seek a long-lost loved one was worth it. You sometimes feel that you’re the fourth passenger in the car with them. The expression in Clair’s face inside the car was priceless, the longingness and determination that she will finally find her soulmate is such pure bliss and heartfelt. Some scenes, at first, I thought was predictable and mushy but later realize that there were some twists to keep you glued to the TV screen. An example would be the last scene where Sophie was in a balcony and Charlie was on the ground – very typical. The funny thing is as Charlie tried to climb a tree to reach Sophie but failed and he fell into the ground. Now that is something that does not conform to the standard love story scene. I highly recommend this to everyone who believe in love and have faith that they will meet their soulmate in the near or distant future.